Dr. Küsters Sabine, Germany - bpw-leadershiplifelonglearnings Webseite! 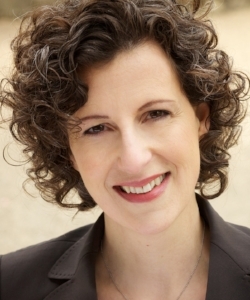 Sabine Küsters is a qualified consultant and trainer for professional and interpersonal communication. She holds a doctoral degree in Biology from Konstanz University. During her career she gathered experience in pharmaceutical research, product management, sales and business development at international pharma and biotechnology companies. For many years, Sabine trained and coached US-American and European customers and staff. Since the beginning of 2011, Sabine is a freelance business consultant, facilitator and trainer. She also conducts train-the-trainer courses. Her customers are individuals as well as agencies and larger companies in Biotech and Diagnostics, Finance, Automotive, Consumer Products and more. Since 2007 Sabine is member of the BPW Club Düsseldorf, Germany, from 2007 - 2014 she was Club President. Sabine chaired the BPW’s FrauenErfolgsForum 2016 in Düsseldorf, a 2-day symposium on New Work. She is a certified PEP Trainer and also an author of the BPW Leadership Training for Women.